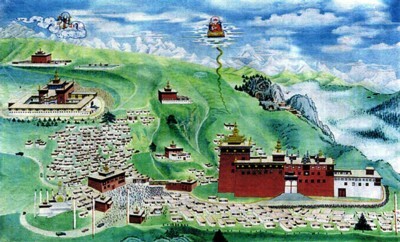 Palpung Monastery or Palpung Chökhor Ling (Tib. དཔལ་སྤུངས་ཆོས་འཁོར་གླིང་, Wyl. dpal spungs chos 'khor gling) was founded in 1729 by Situ Panchen Chökyi Jungné under the patronage of the King of Dergé, Tenpa Tsering (1678-1738). Thereafter it replaced Karma Gön (Wyl. lho kar ma dgon) near Chamdo as the seat of the Tai Situ incarnations, who themselves became known as the Palpung Situ. This page was last edited on 30 May 2018, at 23:07.